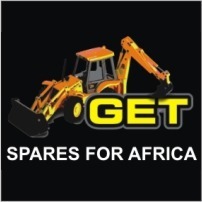 Get Spares for Africa was founded in October 2006 by members, Martin Hankins, Raymond Trollip and Colleen Viljoen. Raymond Trollip started selling parts out of a bakkie and soon we had enough cash flow to rent premises in Jet Park, Boksburg. The company started with limited resources, very little stock and a few staff members. 10 years later we have built a solid reputation with our loyal Customers and Suppliers. We have grown and have a staff compliment of 12 full time employees. We cover the length and breadth of South Africa with well established distributors in Kwazulu Natal and the Western Cape and we conduct over the border business on a regular basis. In 2012 Martin Hankins left the company and Raymond and Colleen have remained in the business. In August 2014 we converted the Close Corporation into a Pty Ltd Company. Our staff enjoy the benefits of a Pension Fund and Medical Aid. The Director of the Company, Raymond Trollip, believe that the company has grown into a strong business because of the grace of God, and are convinced that we have not, as yet, reached our full potential.